As a player kills MOBs and NPCs in game they will gain or lose Alignment Points. Depending on what you kill will gain or lose alignment points. Such as killing a Monster will give you + Alignment, and killing a NPC will give you - Alignment. 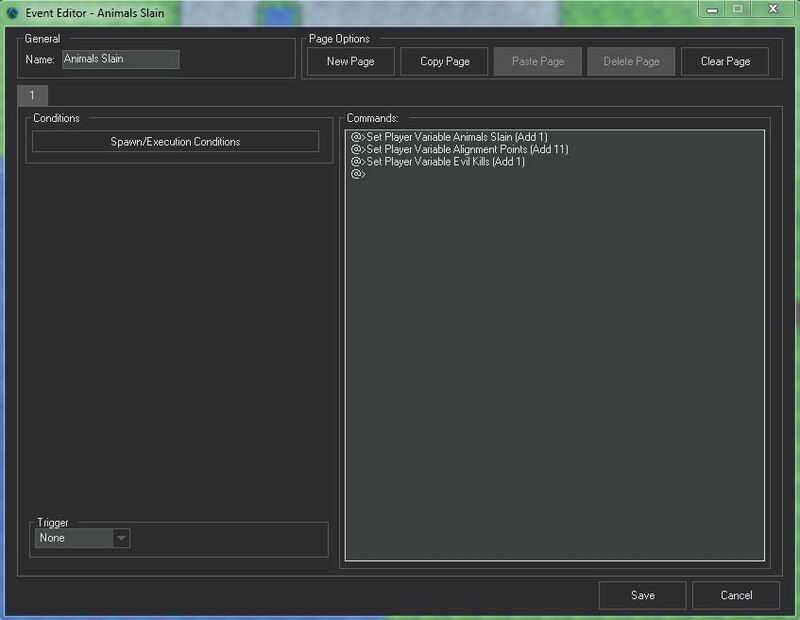 I enter a Text Id to display the value of the variable in the players "Journal" (Look at my Journal/Tradeskill Book Tutorial). Now we have the variables time to make the "Common Events"
Each common event does the math based on the type of kill you did. Such as killing a "Animal" will Add 11 Alignment Points (which is not a lot), adds 1 to "Animal Slain" variable and adds 1 to "Evil Kills" variable. 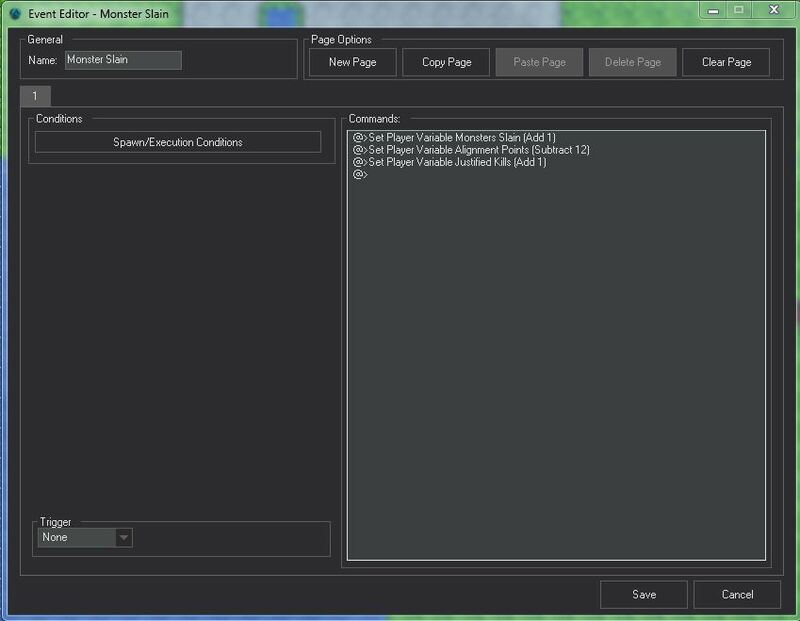 This is just how my game was structure, you can change the stats and the variables as you please. I also add text to some such as when you kill a NPC test appears in chat saying "Murder" and also says to player they have lost some alignment. When you create a NPC or MOB you just need to apply the "Common Events" at the bottom of the NPC Editor. Now you should have events based on when a NPC or MOB is killed in your game and give or remove player alignment points.